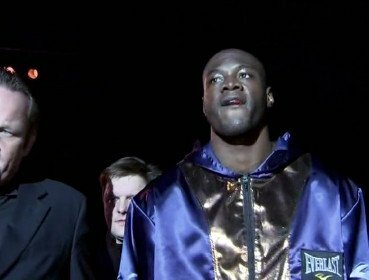 Unbeaten heavyweight contender Deontay Wilder (29-0, 29 KO’s) will be looking to pick up his 30th consecutive knockout against the always tough Nicolai Firtha (21-10-1, 8 KO’s) on October 26th at the Boardwalk Hall, in Atlantic City, New Jersey, USA. The Deontay-Firtha fight will be on the undercard of Bernard Hopkins vs. Kara Furat and Peter Quillin vs. Gabriel Rosado card. At this point, the Wilder vs. Firtha fight might not be televised. However, boxing fans will no doubt get to see clips of the fight if that happens. It’s likely not going to last more than 1 round at best, so boxing fans won’t miss a lot by not being able to see the entire Deontay vs.Firtha fight, if Showtime chooses not to televise it. Some boxing fans won’t be happy with this choice of an opponent for Deontay, but this was all Golden Boy Promotions could find for him due to the little time involved in putting him on the card. Deontay said on his twitter “Fighters are being difficult to get them to fight.” In other words, Deontay is facing the same problems that talented heavyweights like Wladimir Klitschko has been dealing with for years with few of the top heavyweights wanting to face him. It looks like Deontay has become too dangerous for his own good, and now it’s a lot more difficult for him to get opponents compared to if he was still an unknown talent. Firtha, 34, has good size at 6’6″, 250 pounds, and he’s got respectable power. He stunned Tyson Fury in the 4th round of their fight in September of 2011. Firtha was stopped in the 5th round by Fury, but he definitely rocked Fury in the 4th round with a big overhand right hand to the head that had Fury staggering for a brief second. Firtha has also been in with the likes of Alexander Povetkin, Johnathon Banks, Neven Pajkic, Tye Fields, Manuel Quezada, Tony Grano, Franklin Lawrence and Robert Hawkins. Firtha stopped Grano in the 2nd round in their fight in June of 2010, so there’s some definite power there for Firtha. There’s no shame on Deontay’s part in fighting someone like Firtha, because look at the big names he’s been in with in facing Povetkin and Fury. Povetkin couldn’t even stop him and was forced to go the full 10 rounds to get a decision against him in 2010. That wasn’t that long ago, and that fight was more or less the prime of Povetkin’s career because he’s definitely slipped a couple of notches in the last year. Deontay is coming off of an impressive 1st round knockout win over former WBO heavyweight champion Sergey Liakhovich from last August. Before that, Deontay stopped Audley Harrison in the 1st round last April. As you can see, Deontay seems to be getting better and better with each fight. Deontay is looking to break the consecutive knockout streak of 44 for a heavyweight set by Lamar Clark. Deontay only needs 16 more knockouts to break the record, and it’s definitely a doable record for him. If Deontay can get to 50-0 with 50 knockouts, he’s going to be a huge star in the U.S and worldwide. Of course, by then Deontay will be heavyweight champion, because he’s being angled to fight for the WBC heavyweight title. That belt is currently held by Vitali Klitschko, but he’s not expected to hold onto it for very much longer before he either retires or has it stripped from him for failing to defend the belt. It’s a year and counting right now, and if Vitali suffers another injury or decides to not defend it for whatever reason in 2014, then the WBC will no doubt strip him of the title.